Canson XL Bristol Pads are available in smooth and vellum finishes, ideal for both wet and dry media. 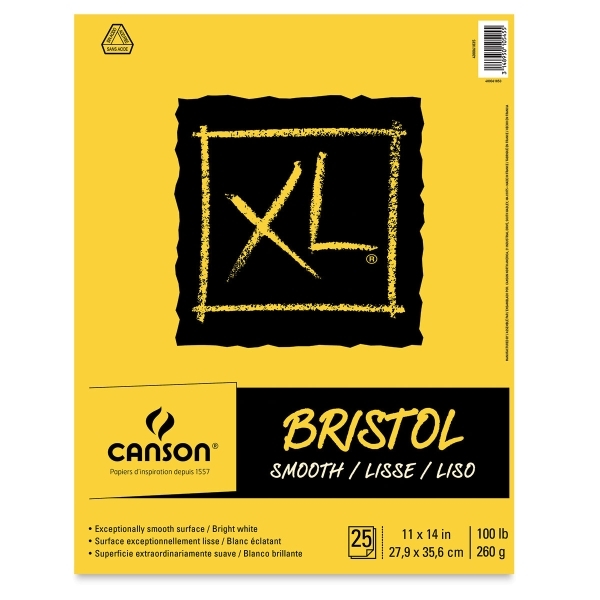 The paper's bright white surface provides great contrast for ink, light washes, graphite, colored pencils, markers, and pastels. Each pad holds 25 sheets — more paper for the money!